CallBox is a fair, honest company that offers a good service for every dollar spent. Since 2004, Callbox has helped B2B companies reach sales goals. They do this by providing a full range of sales lead generation, appointment setting, and data-related solutions. A quick easy way for most businesses to get an immediate jump to their bottom line is to sell better on the phone. Callbox helps companies discover what’s generating their best calls and how their staff is performing on the phone. Callbox uses a multi-touch, multi-channel strategy when reaching out to targeted customers. This means they connect with your decision makers through live, one-on-one conversations enhanced through email, social media, internet search, and direct marketing channels throughout different touch points in the conversion cycle. Pros: With a team of over 700 marketing professionals spread across the world, Callbox has already completed over 10,000 campaigns in various business-to-business verticals and geographical areas. Callbox is an international company that offers traditional outbound telemarketing and B2B appointment setting services as well as online tools to help you located and acquire potential customers that you need to make your grow year after year. 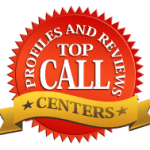 Callbox generates leads for companies of all different types and sizes from a diverse array of fields, including IT, finance, education, healthcare, real estate, travel and more. Callbox provides marketing solutions to companies that are ready to let a sales lead generation service do the legwork of finding potential customers. This lead generation company offers SEO services, which can help you attract your target audience to your website and boost your online sales leads. Callbox researches the types of keywords that are likely to push your business’s name closer to the top of the SERP, making it much easier for potential customers to find your business. Callbox ensures the success of each unique campaign through a full suite of proprietary tools, including a massive in-house B2B database, lead nurturing solutions, and pipeline management features. Cons: As a large international company you may not get that local one on one touch that smaller companies can bring to the table. Not Sure About Callbox as the best solution? See other top reviews on answering service companies below.